Almost a year to the day after he was let go by Boston College — leaving as the winningest coach in the history of the men’s basketball program — Al Skinner yesterday ended a year of self-imposed silence about what happened, still not quite sure why it happened the way it did. He also made it clear that he feels he has something left in his coaching career. “Other than the fact that they wanted a change to be made, I still don’t understand,’’ said Skinner in a phone interview. “That’s part of the business. But I look at my résumé and the success I had at BC, and I look at the résumé of some coaches who are in the tournament now, and I look at my résumé and I think it compares favorably. “I ran a good program, I graduated my kids. Everybody has problems, but we addressed them and handled them in a matter that satisfied every one. Skinner went 247-165 in 13 years at BC, taking the Eagles to seven NCAA Tournament appearances (in a stretch of nine years). His tenure ended last March, following a 15-16 season, in what the school described as a mutual decision but was largely perceived as a dismissal. Skinner had three years left on his contract. In the past year, he has seen some of his former assistant coaches continue to have success as head coaches, and he is not content to play a passive role as a spectator. “I’d like to get myself into a program where we can compete at the highest level,’’ he said. Skinner thought he had more time coming at BC, despite the sub-.500 record in his last season. “My intention was to establish a level we had not yet achieved, and I thought this year’s team had that potential,’’ he said. The numbers are solid. In nine years at the University of Rhode Island and 13 at BC, Skinner’s teams won 385 games. 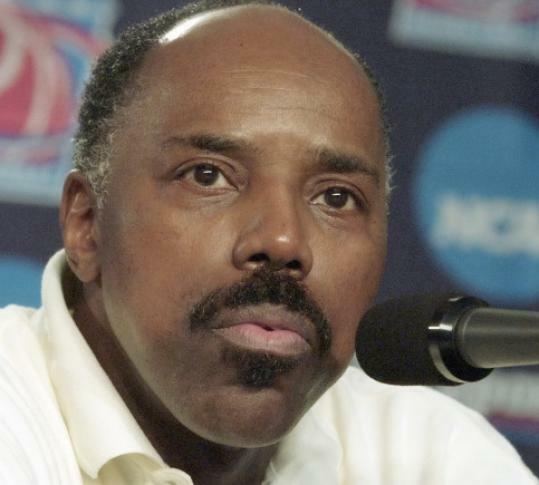 He was twice named Big East Coach of the Year and was National Coach of the Year in 2000-01. Skinner was replaced at BC by Steve Donahue, who moved over from Cornell. Donahue’s arrival meant the departure of what was regarded as a solid recruiting class and the transfer of forward Rakim Sanders to Fairfield. Donahue, with guard Reggie Jackson as his catalyst, did a good job mixing and matching the talent with his style, and the Eagles won 21 games this season — more than most expected. But they didn’t make the NCAA field, and they lost in the second round of the NIT last week to Northwestern. As he watched this season unfold, Skinner said, he felt that had he still been at BC, the Eagles would have been more of a factor in the national picture. Though he was coming off a sub-.500 campaign, Skinner said, history suggests that the Eagles would have turned in the right direction. “I’ve never had a team lose and come back with the same lineup of players and lose again,’’ he said. Skinner said he could understand a change being made for the sake of change. But he didn’t understand the perception that he was a coach who didn’t work as hard as he could have. “Al Skinner was never the most talented guy on the floor as a player, but I competed as hard as anyone,’’ he said. “I did the same thing as a coach. Skinner insisted that he brought passion to his job, even if it was not manifested in ranting and raving on the sidelines. Bryant coach Tim O’Shea, who was an assistant under Skinner at URI and BC, agreed that you need to look beyond the court to evaluate Skinner. As to that perception that he didn’t work as hard as he should have, Skinner said, “I was really surprised the legs it had. I would have hoped my reputation would have been able to withstand that.